Thirty types of medicines, sixty-two type of health –drinks, fifty types of diseases, out of which seventeen are studied intensively, rare diseases, surgery for eleven types of diseases, seventy –one surgical instruments (information and illustration). 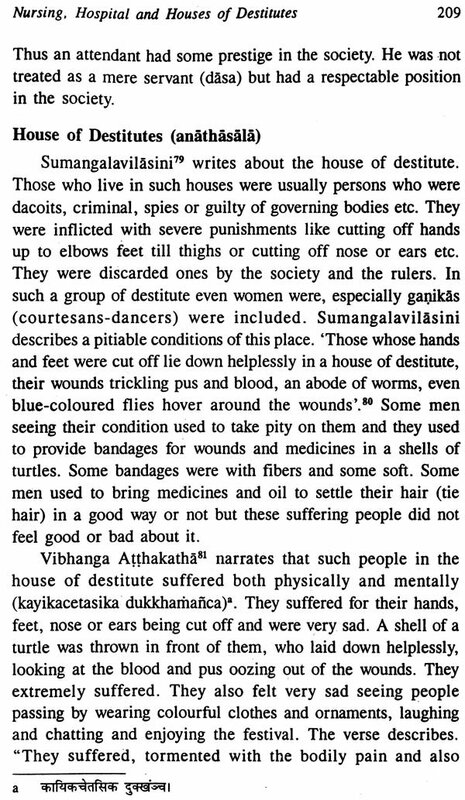 Diseases of women- cause of barrenness, conception, contraceptives, pregnancy, birth of a child; nursing, hospitals and attendants, houses of destitute and many such allied topics. 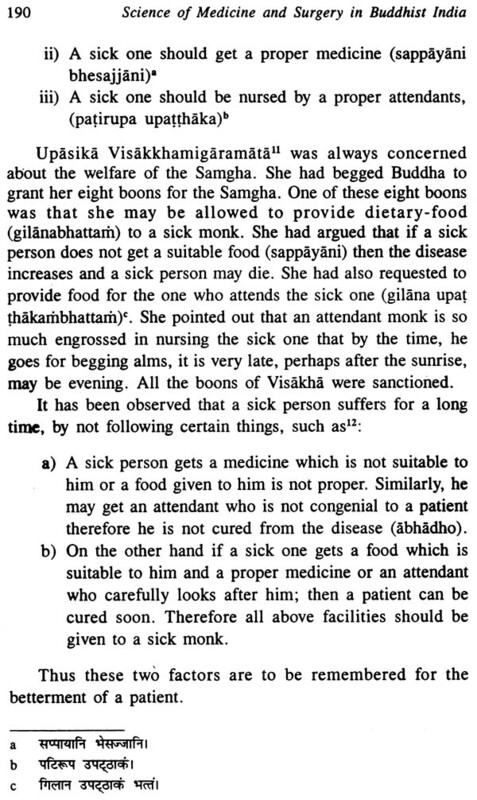 This book will be a unique contribution to the world of medicament and history of Buddhist India. 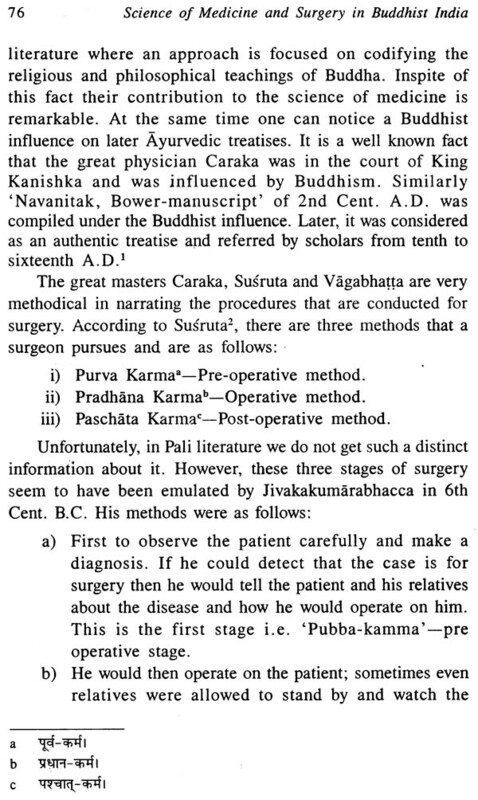 I have decided to write on ‘Science of Medicine and Surgery in Buddhist India’, as one of my commitments, In the sixties (1965 and 1967) I had written two articles” based on Buddhist Literature. Late, Dr. I.B. Horner (former President of Pali Text Society, London) had appreciated my work and wrote to me “Your article on Surgery and Surgical Instruments is also most interesting. Perhaps you’ll collect your articles, expand them a little and make a book”. This she had written to me in one of her letters, dated 6th September, 1967. In between the days, the months and the years have passed, but some how or the other I could not work further on it. Recently when I was reading her letters, I happened to read the above lines in one of her letters. It made me restless and alert. I thought I should work on the topic, suggested by my departed and affectionate friend, the one who had always guided and encouraged me in my young age. 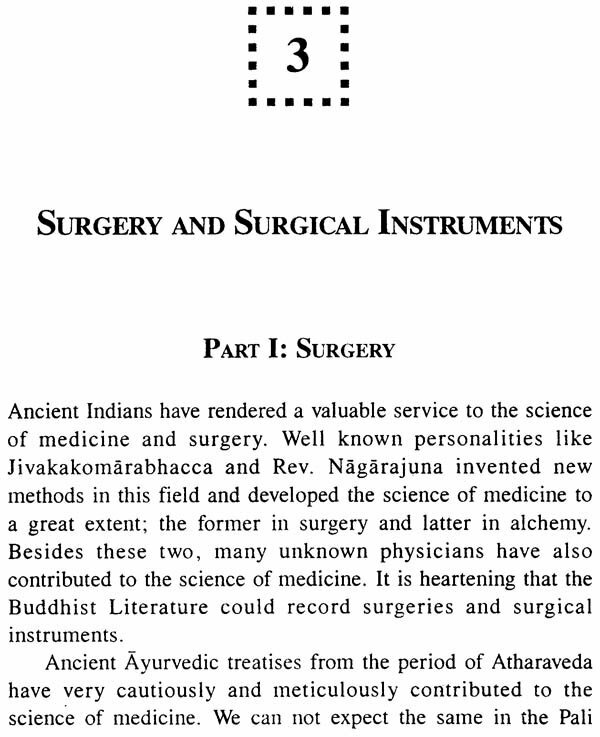 The title of the book –Science of Medicine and Surgery in Buddhist India, perhaps may arouse eyebrows of some. Therefore let me write a few lines on it. I have used the term “Buddhist India” in the sense that it would convey a specific period of ancient India; a period that had dominated Buddhist ethos in the history of ancient India. 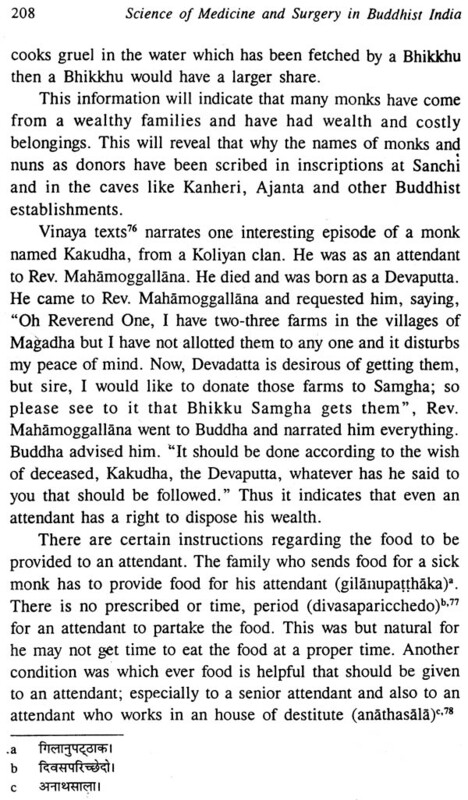 This period approximately falls in between the time of Buddha (6th Cent. B.C.) and the rule of King Harshavardhana (7th Cent. A.D.). I wish to follow the foot steps of the great scholar of Buddhism, Dr. T.W. Rhys Davids, who had labelled his historical work of this period as “Buddhist India”. 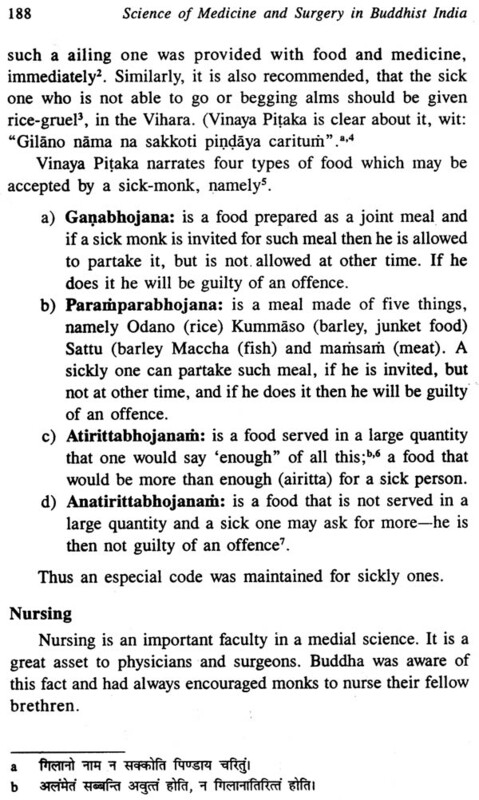 Secondly, it will point out the distinction between treatises written on medicine in Sanskrit by great savants like Caraka, Susruta and Vagabhatta. It may help to reveal two different streams that sprung up and grew on the soil of India. Besides this I have no other intention but to enlighten the readers on the basis of the facts and fictions that lie to glorify the history on ancient Indian Medical Science. 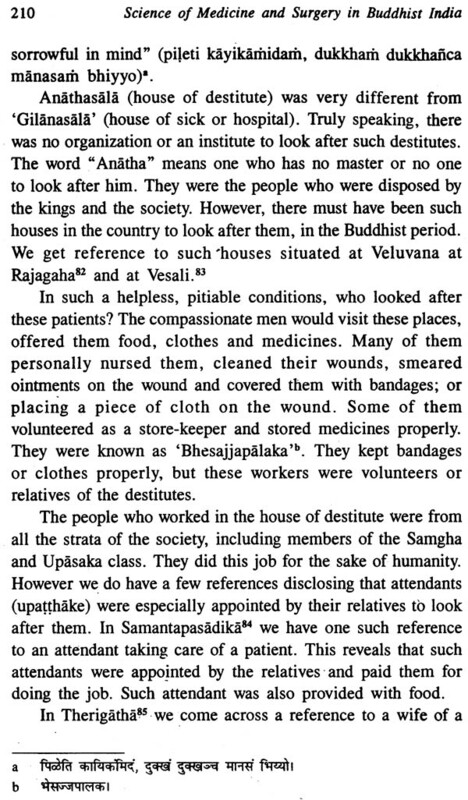 The term “Buddhist India” should not be taken in narrow perspective but in a broader sense, as a part and parcel of ancient India. The present monograph for the first time will cover nearly thousand years of the history of the Medical Science prevalent in ancient Buddhist India. Traditionally, ancient Indian medicine believes in three fundamental elements that governs the human body, namely wind (vata), bile (pitta) phlegm (Semha or Kapha). If one of these three elements are agitated and imbalanced then body succumbs to sickness. 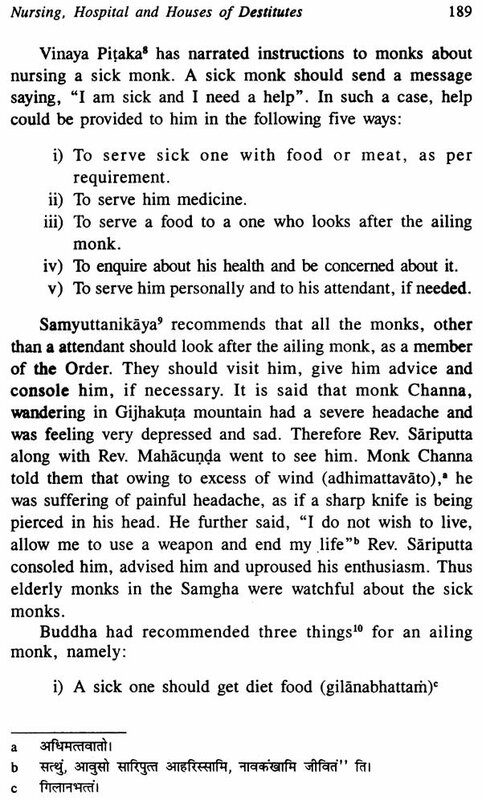 These rudiments of ancient Indian medicaments had formed a basis of the Buddhist Medical Science. Many a time a surgery is also recommended to cure a patient. 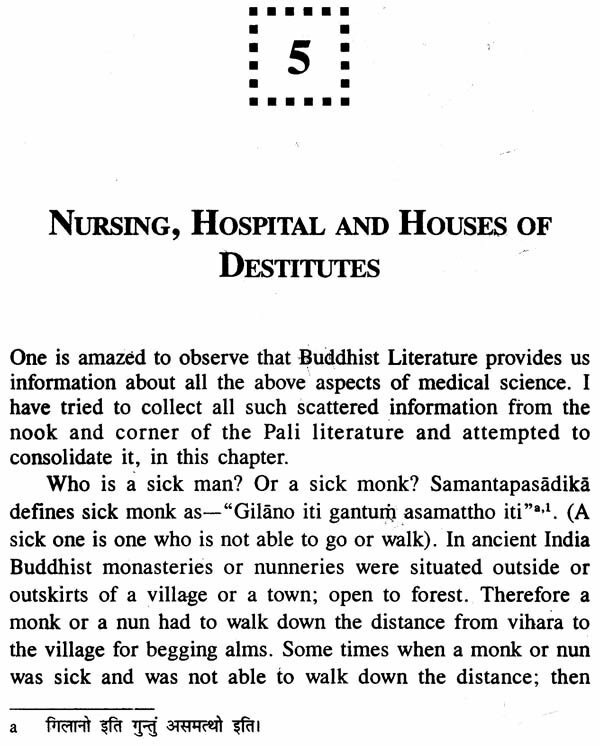 Truly speaking, Buddhist Literature is written for religious purpose hence the scope of research in medicine is vey narrowed down and limited. 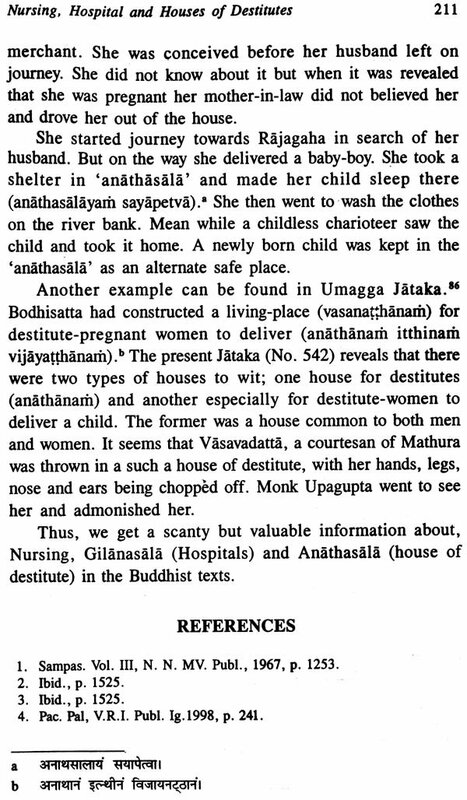 Buddhist Literature directly does not deal with the medical science of ancient India. However some of the important information about it can be located. 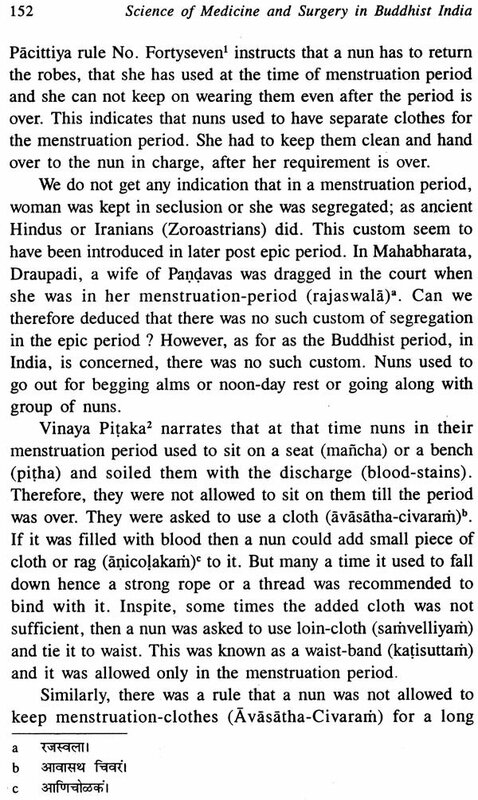 I have made an attempt to make a capsule of such available information in the present monograph. 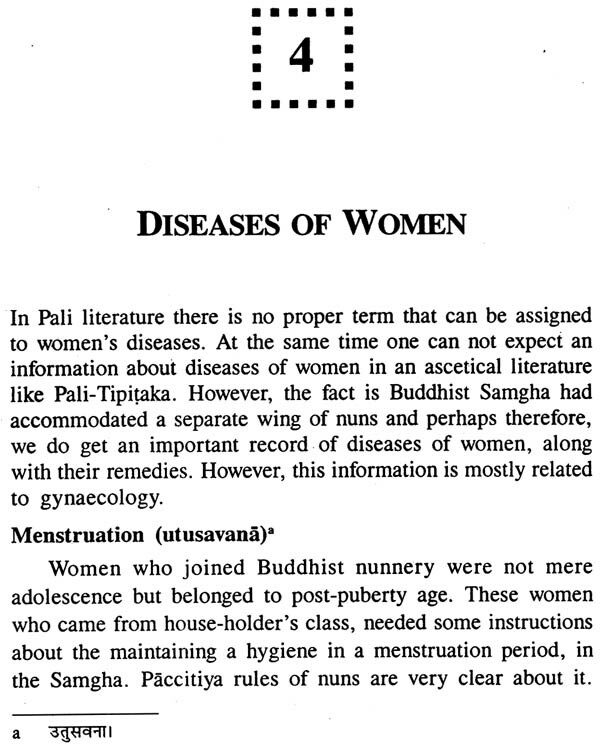 Perhaps, an information that we gather from the Buddhist Literature (in Pali), may not be adequate but one will have to accept that it is based on the pathological symptoms and therapeutic techniques of the medical science. One must remember that this knowledge of medical science comes to us belongs to the period of the history when most of the world population was ignorant about it. Secondly, the sources from which we get this information is originated from an ascetical literature, which belonged to a disciplined fraternity of the society. Fortunately, therefore we have meticulous and vigilant texts. Hence I feel, it is trustworthy and reliable. However, there are certain lacunae in the writings, such as not narrating a detailed information about the medicines or its preparation and its application or to record the surgical instruments with its uses and classifications. The greatest problem of working on this topic is that there are no treatises especially devoted to medicine or surgery in the Pali Literature. 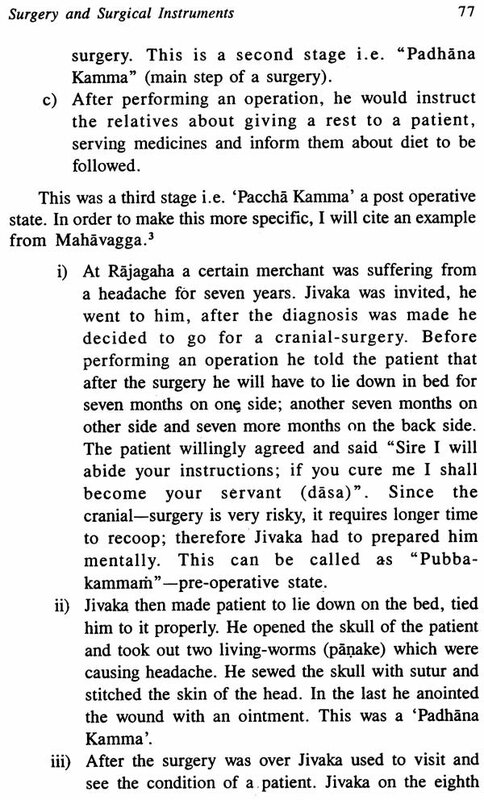 Hence, it is difficult to gather a data-material on medicine and Surgery that anticipates experimental know-how, as collected by various masters like, Caraka, Susruta or Vagabhatta. From the time of Ayurveda, we have series of Sanskrit texts that are devoted solely to the Science of Medicine, with its practices, ethics and disciplines. 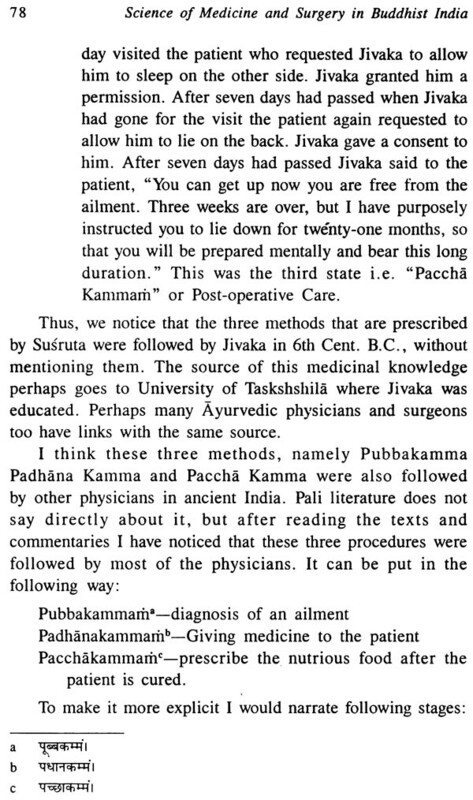 Unfortunately, as far as Pali Literature is concerned, we do not have such a feed back of medical treatises. 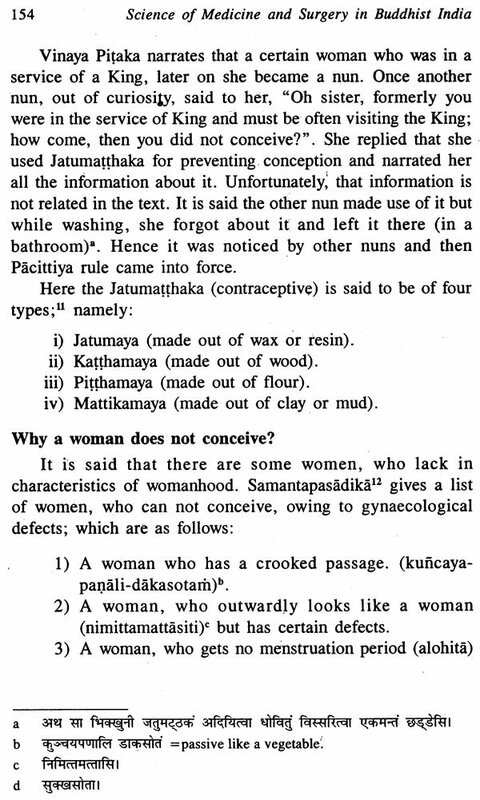 As mentioned above there is no a single text dedicated to medicine or surgery and one has to collect material form three pitakas and commentaries where medicinal information lie helter and skelter. The obvious difficulty involves in procuring information about clinical, psychological, pathological systems and therapeutic techniques. One ca n neither expect a theoretical nor the practical approach to the subject or an organized one or a displined treatise of medical science.